Lego 42080 Forest Harvester 林業機械 砍木重型機器組合有更多資訊, 這款 Lego Technic 系列最新組合將會支持 Power Functions, 當中更包含油壓組件. Lego 42080 Forest Harvester 林業機械 砍木重型機器從最新的資訊可以確定會支持 Power Functions 動力組件, 預料會有兩組動力可以操作, 分別是機械臂升降前方的砍木組件. 追求動力及自動操的 Technic 不要錯過這組合. 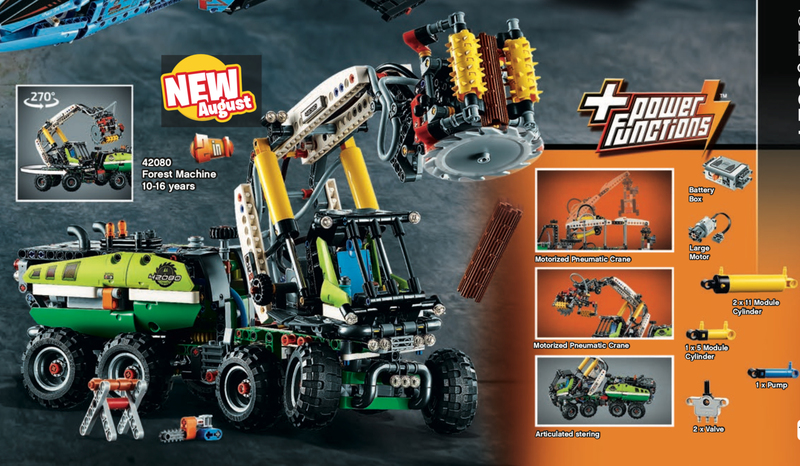 Lego 42080 Forest Harvester 預計8月初上市.